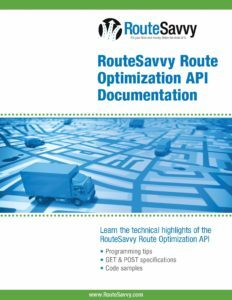 This RouteSavvy Route Optimization API documentation provides technical highlights into this robust, affordable routing API. In short, the RouteSavvy route optimization API is an easy-to-use REST service for optimizing driving stop order. RSAPI.svc allows both GET and POST options. Requests use JSON-formatted strings, with results returned in JSON format to enable optimal use in web applications. The optimized results return stops ordered for the most efficient driving route. Results also include turn-by-turn directions for each route leg, as well as a latitude-longitude polyline describing the route for display on a map. Access these free code samples in a variety of programming languages to save time & streamline the process to take your application to market. GET – RSAPI.svc/GetOptimize requests are limited to the URL encoded parameter maximum length. Although this varies by browser, 2048 char is the typical suggested limit for encoding stops in the URL string. Because of the URL length limitation smaller numbers of stops can be optimized. POST – RSAPI.svc/PostOptimize requests do not have URL length limitations and can accommodate large numbers of stops. 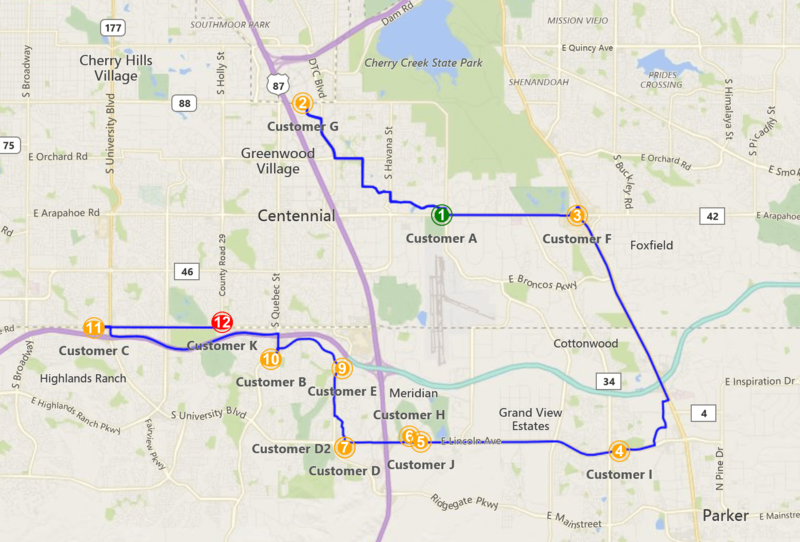 Give the RouteSavvy Routing Engine API a try.